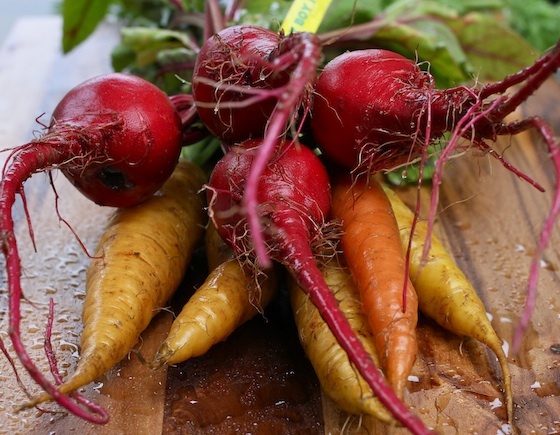 2 Responses to "Wordless Wednesday | Beets meet lonely carrots"
Gorgeous. I love "real" vegetables. I find it a bit disconcerting when they've been too trimmed and prettied up before being photographed. These are perfect. I love this photograph! So vibrant and fresh - I can almost imagine biting into a carrot!